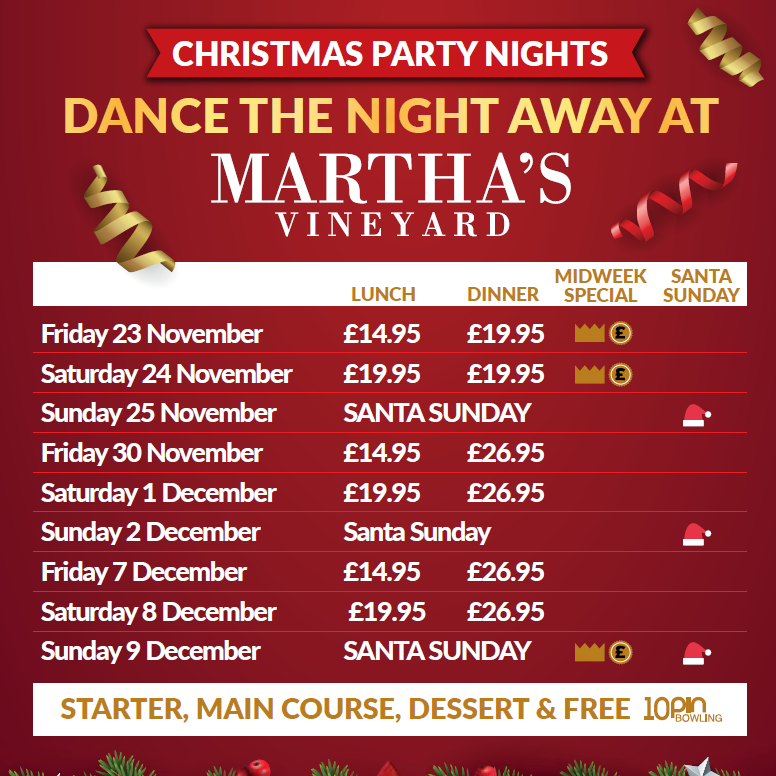 There’s something for everyone this festive season at Martha’s Vineyard! Martha’s Vineyard is sure to delight even the most discerning diner, with its top-notch array of fabulous food on offer. 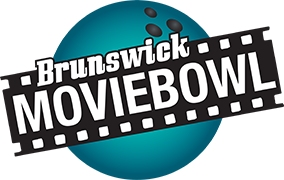 For the Christmas 2017 season we have created a fantastic festive feast where traditional classic dishes sit alongside contemporary favourites with a fabulous fun game of ten pin bowling absolutely FREE! On selected nights we are starting our party nights with Acoustic Artists providing a gentle accompaniment for your meal playing traditional and contemporary tracks in a relaxing background. This is followed then by our resident DJ who will be belting out floor filling classics creating a winter wonderland on the dance floor till late… Bring your dancing shoes!!! We have the perfect menus for your christmas party, whether it be a dinner and cocktails or a full Christmas lunch! Delicious prawns served with home-made marie rose sauce, lettuce salad & micro leaves with a contemporary cocktail twist! Roast supreme of chicken served with a mushroom & bacon cream sauce topped with crispy tobacco onions finished with a basil pesto dressing. Too full for dessert? Have a Christmas Shooter instead!